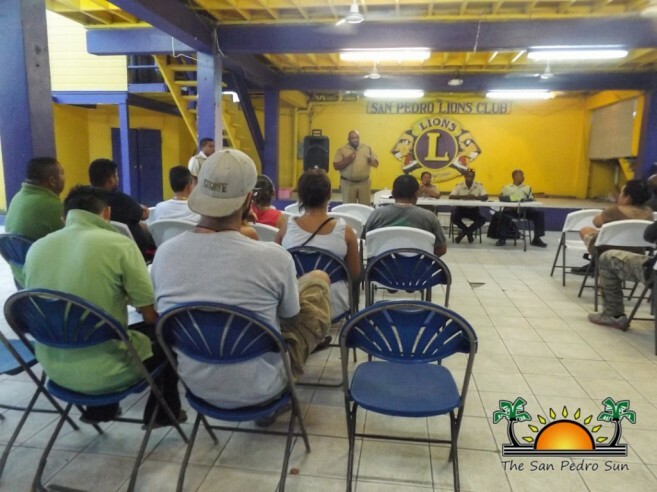 In an effort to enhance the relationship and cooperation between the San Pedro Police Department (SPPD) and the business community, the SPPD held a public meeting on Monday, June 20th at the San Pedro Lions Den. Various members of the business sector holding liquor licenses were invited to participate in discussing issues affecting the island. 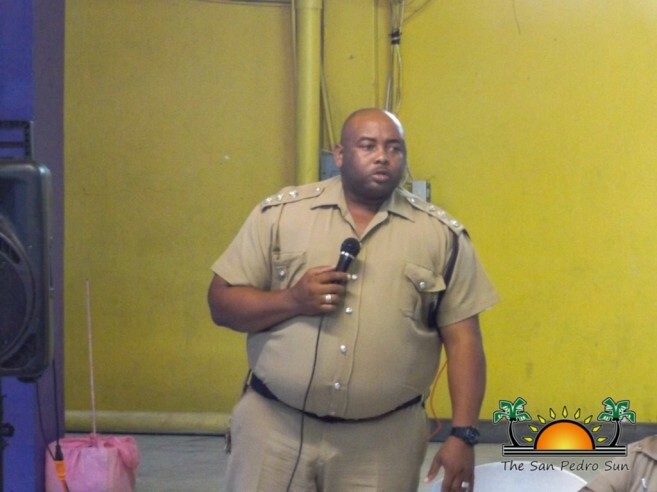 Deputy of the Belize Police Department Coastal Executive Unit Henry Jemmott welcomed everyone to the meeting, quickly outlining some of the grave issues that have been increasing on the island. “We have an issue with youth between the ages of 14 to 17 who are seen late at night trying to get inside establishments to purchase liquor,” said Jemmott. “As a moral fact, we should not sell to or tolerate them around the business area.” He stated that it is a serious problem on the island as young people are heading into the drinking habit. He also highlighted the use of drugs at different schools. The SPPD has engaged in setting up mechanisms to tackle this problem at the schools. One of the main ways how police are addressing the issue is by hosting educational sessions on drugs, and by conducting random searches. Next on the agenda was the topic of security. Business owners who operate bars were cautioned to always close on time in order to avoid becoming targets of criminal activities. Closing after hours can also lead to suspension of their license. They were advised to always employ security personnel, and surveillance cameras usage was encouraged, as the footage helps police in their investigations. Businesses are also being urged to stop selling beers in bottles. “This has become a serious problem. When you drive on the streets early in the morning, you can see a lot of broken bottles scattered all over the place. We ask that you start selling drinks in plastic cups to avoid these inconveniences,” said Jemmott. 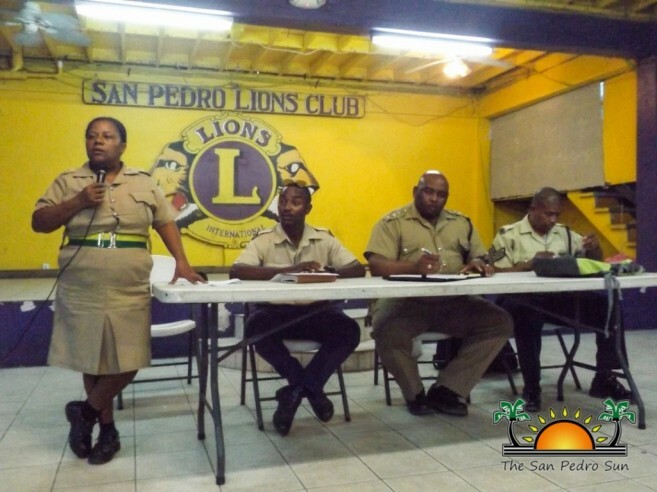 Officer in Charge of the San Pedro Police Sub-Formation Superintendent Sandra Bowden elaborated on the issue of minors accessing night clubs and consuming alcohol. “It is up to you as business owners to make sure that if need be, ask for identification, in order to ensure everyone inside your establishment is 18 years old and above,” said Bowden. She reminded everyone that during the Lobster fest, police will be out in full force, checking all establishments and ensuring that everyone is abiding by the regulations. Bowden stated that the police are here to enforce the law and that if any business operators need to be arrested and charged there will be no exceptions. “Bear in mind that if you are charged for not abiding by the law, it can be against you whenever you apply for future liquor licenses,” stated Bowden. She informed the attendees that the enforcements will be in full effect during and after the Lobster fest weekend. Bowden also touched on a delicate topic regarding the issuing of alcoholic beverages to police officers on duty. “I don’t tolerate the consumption of alcohol by police officers while they are on duty,” said Bowden. She advised business owners that if at any time a police on duty is caught consuming alcohol at an establishment, not only will that member of the force will be disciplined, but the liquor license holder can also be penalized. Bowden further mentioned that another practice they want to discourage is business owners tolerating drinking at their establishments in mixed uniform. “They will sometimes come to your establishment in their police pants while using a civilian shirt. They do this because they want you to know that they are part of the police, so they don’t pay entrance and they can be offered drinks. In this situation you can deny service or entrance and you also need to inform us,” said Bowden. She asked liquor license holders to discourage such behaviours, so that officers are more serious about their duties. According to Bowden, the public should not only contact the police when they need help, but also to let them know when they are failing in their duties. 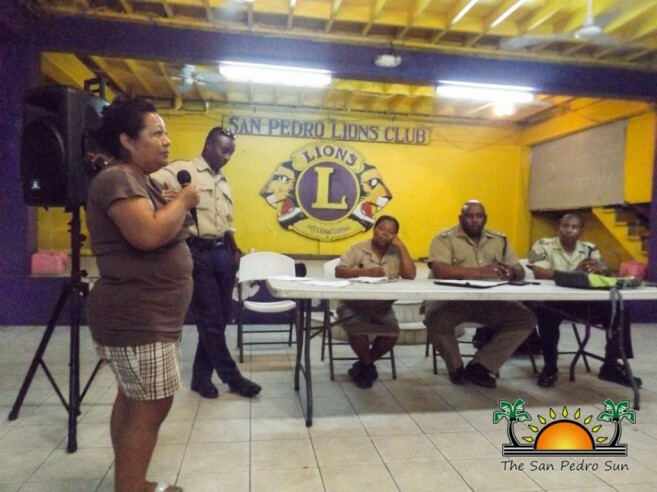 At the end of the meeting, everyone was encouraged to work together with the police and join in the efforts to make Ambergris Caye the place everyone longs it to be: an island with a healthy environment, a safe place to live, and free of corrupt behaviour by law enforcement. This was one of many meetings planned to aid in improving community-police relations. The San Pedro Police would like to thank everyone who attended the meeting, and they look forward to working in harmony with the entire community.